The SpectRx™ Near Infrared System is the only known non-destructive Near Infrared on-line automated production system performing real-time analysis of chemical compositions for organic products in solid, powder, liquids, semi-solid, or gas forms. The system is rugged, reliable, and simple to use in many different applications throughout pharmaceuticals, chemical, food, meat, cosmetics, gas, fertilizers, and medical industry. Among other applications, the SpectRx non-destructively measures and analyzes active ingredients, chemical compositions, moisture contents, hardness in tablets/capsules/caplets, and disintegration in tablets/caplets. It analyzes the chemical compounds that may or may not combine with polymer base, such as polymer in medical Stents. The SpectRx system analyzes fat, protein, and water contents of beef, pork, poultry, and other food products. Figure 1. 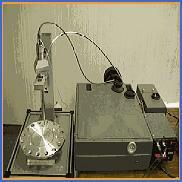 American SensoRx¡¯ SpectRx Near Infrared Interferometer Providing 80 Scans/Second per Probe. 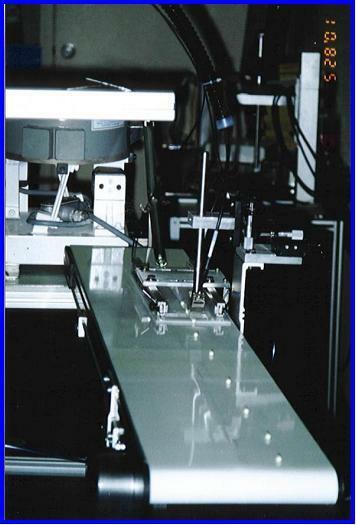 Industry may use the SpectRx NIR system to inspect and verify products contained in plastic blisters either before or after the final seal-stage using single or dual probes at a rate of 80 or 160 scans/second. the construction of high-speed production inspection environments. It consists of three major Plug and Play modules; the Interferometer, the Processor and the Near Infrared Fiber Optic Probe. The engineering staff of American SensoRx Inc., has developed the SpectRx software to enable operators ease of programming for on-line analysis of pharmaceuticals, food, chemical or medical products. Figure 2. The SpectRx NIR System analyzes tablets/caplets/caplets passing under its probes.